The world’s oldest cheese has been found in Egypt - J.S.Bailey ltd.
A study has confirmed that a substance found in an Ancient Egyptian tomb several years ago, is in fact the world’s oldest cheese ever to be discovered. The substance was found within broken jars in the tomb of Ptahmes, who was a high-ranking official in Ancient Egypt. Described as a ‘solidified whitish mass’ by archaeologists, there was speculation that it could be food, however it was impossible to know for certain without additional tests. Following these tests, it was uncovered that the substance was in fact cheese which dated back 3,200 years, made up a mixture of sheep’s and goat’s milk. Whilst of course no one is able to taste the ancient cheese, Paul Kindstedt, a cheese historian has said that it would most likely have a very acidic taste and have been spreadable. 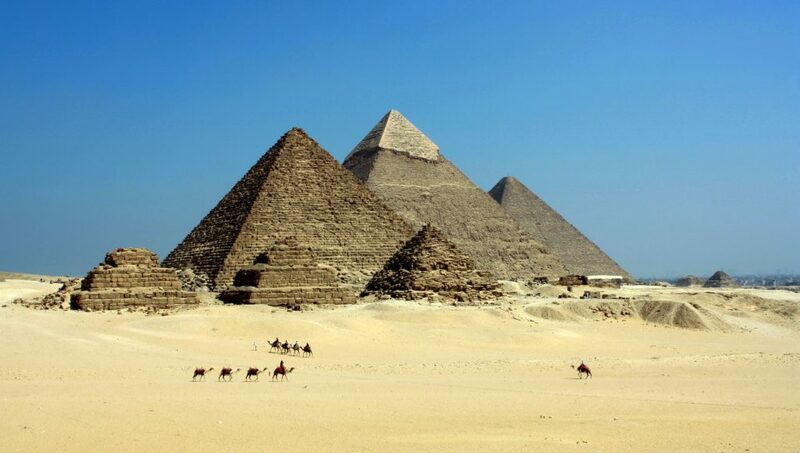 Prior to this discovery, there had been no evidence of cheese production within Ancient Egypt and the fact that the cheese has survived for over 30 centuries in desert conditions is astounding. Within the cheese, however, a bacterium was uncovered that can cause, brucellosis, an infectious disease that occurs as a result of eating unpasteurised dairy products. Ptahmes was the mayor of the Ancient Egyptian city of Memphis, which dates back to between 1292 – 1189 BC. The tomb was originally discovered in 1885, however as the harsh Saharan sand storms overrode the site, it was forgotten about, until 2010 when it was re-discovered by French archaeologists. Whilst the tomb had already been visited by grave robbers, who had stolen most of the valuable goods, luckily, they had left some pottery jars, one of which contained the ancient cheese. Want to keep up to date with the latest cheese news? Follow J.S. Bailey on Twitter for the latest updates.